"That's what it's all about - winning." 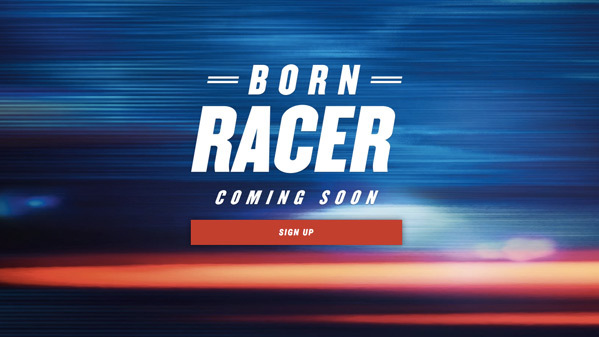 Universal has debuted a teaser trailer for a new racing documentary titled Born Racer, from New Zealand filmmaker Bryn Evans. The film is a profile of the New Zealand team Chip Ganassi Racing, and it's a "story of the will to win in the words most visually arresting and dynamic auto sport." It's not just about racing and the people who are dedicated to the sport, but about what it takes and how rare it is to be so "driven" that you push things further than they've ever been before. "A powerful and inspirational story of dedication, danger, fear, and the rare 'will' some of us have to defy all personal limitations." The first teaser is timed with the 102nd running of the Indianapolis 500 this Sunday, of course. It's about desire for success and accomplishment and the search for ultimate meaning and purpose in life; a narrative on the unforgiving world of professional racing and the unique individuals who inhabit it. Filmed with an access all areas lens into the world of New Zealander Scott Dixon, a four-time Verizon IndyCar Series Champion and Indianapolis 500 Winner, the Chip Ganassi Racing team and all the people who are passionate about the world of motor racing, this film asks why some individuals feel compelled to court danger and uniquely risk their lives in order to win. Born Racer is directed by Kiwi filmmaker Bryn Evans, of the docs From Street to Sky and Hip Hop-eration previously. This hasn't premiered at any fests yet. Universal will release Born Racer in US theaters sometime later in 2018. Stay tuned. First impression?